The Nigerian Communications Commission has advised State and Local Governments to avoid multiple taxation of telecommunication outfits, emphasising that an unfriendly tax system is a dis-incentive to potential investors. At a media forum in Abuja on Wednesday, the Director of Public Affairs of the commission, Mr Tony Ojobo, said that it was necessary that the bottlenecks by state and local governments be removed so that adequate infrastructure could be put in place. He stressed that guarding against multiple taxation would further improve the quality of service that the telecommunication companies deliver to Nigerians. Nigeria has a voice subscriber base of about 142.5 million and over 83 million internet subscribers. 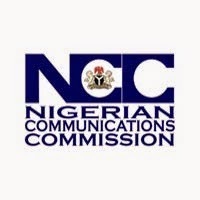 Mr Ojobo said the commission would continue to provide the regulatory framework that would ensure the provision of quality service by telecommunication operators.